People can, through sign language, express anything that can be expressed through spoken language so far as I know. So gestures can be fully expressive (there's enough "gesture-space" to build a language). 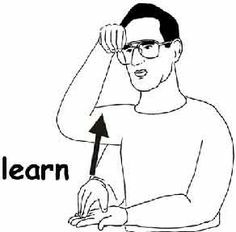 Sign language, though, is derived from that spoken language, because it was developed to allow the hearing-impaired to converse with speakers. 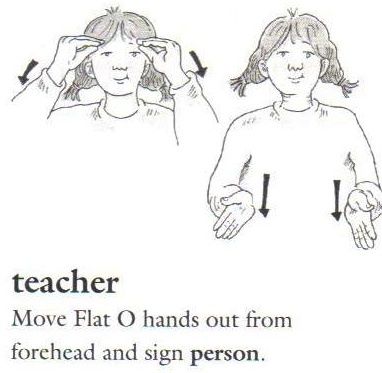 Sign language uses gestures mainly at the "word" level and the occasional phrase, though finger-spelling allow allows a signer to convey letters. What would a gesture-based language look like if it developed organically in a civilization of people who do not speak and hear? For the sake of this question, assume that -- as with speech -- the gesture language develops well in advance of a written form (if a written form even develops at all): we have a civilization of people with no written or spoken language but they use gestures to communicate with each other. Would the building blocks of the language still be words and grammar, or should we expect to see something very different develop (a la the analogy-based language of Darmok, though that specific example isn't feasible so please don't focus on that)? It would look similar to sign language. American Sign Language (ASL) is very visual and conceptual. ASL doesn't really try to mimic spoken language. It's actually likely to be understood by people regardless of their spoken language (if any) because it relies instead upon concepts and visualizations that don't require you to know what word is being used. For instance the sign for 'year' is one fist orbiting the other one time. The glossary builds on existing signs used by the deaf community and on “the visual or metaphorical relationship to what the things are like in real life”, explains O’Neill. The signs also build on one another to help convey the scientific relationships between the terms. The sign for mass, for example, is a fist which is then used as a basis for the sign for density (a hand around the fist) and weight (the hand and fist moving downwards). They had some trends. Some of them were familiar. Pointing at things or relative stuff figured in prominently. Pantomime plays a part in pretty much all of these, as I recall, but often abbreviated as with something like ASL. (Which is, by the linguistic terms I learned, a living language but synthetic.) The grammar rules can literally be anything that any language could have. Those vary a ton. Look up support and criticism of "Universal Grammar" to find the discussion of the question I think you may be trying to ask. Wiki P. is a good place to begin. https://en.wikipedia.org/wiki/Universal_grammar It's one of Chomsky's passions. Sign language is in itself an analogy; it's an analogy of actions. 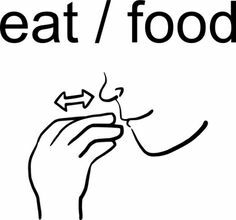 It maps what humans do to a sign representing that action closely enough to be understood; this is then standardised with the introduction of a formal sign language. The relationship between sign and natural language is vague enough that you can safely discount it when trying to create a sign language. As the first point here says, sign language is about actions. Sign language seems too close to our natural languages to be useful without a natural language because you automatically associate the actions in sign language with the action you'd take, and then the word for that action. If such a species doesn't have natural languages and therefore words, they'd just associate the action in sign language with the action they'd take, and not go on to associate the word. In a sense, for this species, actions would be the form of communication. A sign language of another civilisation would, therefore, be formed similarly to our sign languages. How does this civilisation act in certain scenarios? What do they do? Take those actions - such as eating - and form a sign for them. There are a number of other questions around the site about forming a language; you can also use the advice in those to record your language and use it again later. Is it possible for a language/method of passing information based purely on touch to develop? Would people develop spoken language if everyone was telepathic? Why would a language based solely on volume develop? What would modern language look like if humans also communicated via bio-luminescence? What would a purely academic constructed-language be like? What would a language spoken by caninoids sound like?